MOSCOW, December 04. /ITAR-TASS/. Russian President Vladimir Putin will deliver an annual state-of-the-nation address to the Federal Assembly on December 12, the Russian presidential press service reported on Wednesday. The forthcoming presidential national address will be the 20th anniversary one in modern history of Russia. Meanwhile, the president will deliver the national address on Russian Constitution Day, which will also become the 20th anniversary landmark event for the fundamental law of the country. According to the Russian Constitution, the presidential annual state-of-the-nation address to two houses of Russian parliament is the duty of the president. This presidential national address is the main program document of the Russian state authorities and informs the society about all pressing problems and possible solutions to them. The presidential state-of-the-nation address is usually devoted to the domestic situation in the country by two thirds and international issues by one third. The presidential state-of-the-nation address lays down the presidential vision on the guidelines of Russian development in the near future, the information about important decisions, which the president had taken according to his constitutional powers. For instance, in his presidential state-of-the-nation address in 2008 Dmitry Medvedev proposed to increase the term of presidency up to six years, the term of deputies in the State Duma lower house of parliament - up to five years and put forth an initiative to liberalize the political legislation in 2011. The content of the presidential state-of-the-nation address is being kept in secret, meanwhile, the preparation of the national address takes more than one month. A huge amount of work is being done. Most departments of the presidential staff are working on their sets of questions, making the proposals to the president. Meanwhile, the president holds consultations with different political forces, not only those represented in the parliament, but also the leaders of the so-called small parties. The president is preparing personally the final variant of his state-of-the-nation address. The annual presidential state-of-the-nation address to the Federal Assembly is delivered at a joint meeting of both houses of the parliament (this is the only format, when the State Duma and the Federation Council, the lower and upper housea of Russian parliament respectively, have a joint meeting). In the last few years this ceremony is held at the St. George Hall of the Grand Kremlin Palace, which a ceremonial presidential residence. Along with the lawmakers, members of the government, chairpersons of the Supreme Courts, general prosecutor, chairman of the Central Elections Commission, chairman of the Chamber of Accounts, members of the State Council, the Russian Public Chamber and the supreme hierarchs of the main confessions are also invited in the Kremlin. The date of the presidential state-of-the-nation address is not permanent and is set each year depending from the working schedule and the day when the very document is drafted. For 20 years of presidential state-of-the-nation addresses this event was held in different months. For instance, late first Russian President Boris Yeltsin delivered the first state-of-the-nation address on February 24, 1994. Then he delivered three state-of-the-nation addresses to the Federal Assembly in February (in 1995, 1996 and 1998) and twice in March (in 1997 and 1999). In the first two presidential terms of Vladimir Putin the tradition has changed slightly. 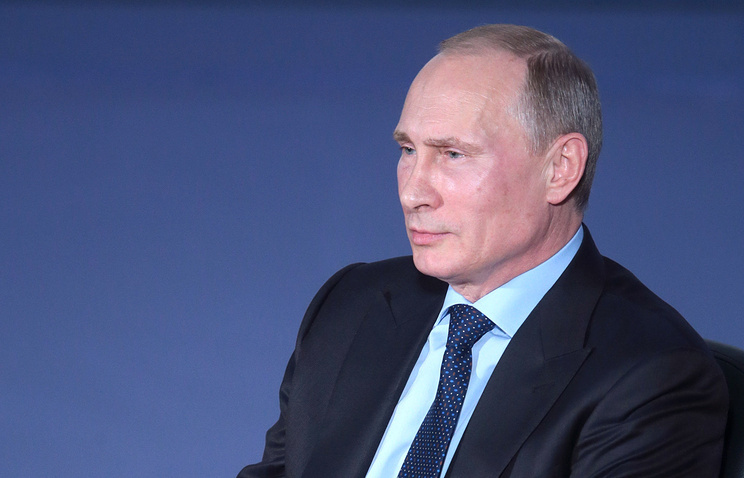 Putin delivered his first state-of-the-nation address in July 2000, he delivered the state-of-the-nation addresses to the parliament in April and May in 2001-2007. Under former President Dmitry Medvedev the date of the presidential national address has been moved closer to the end of the year. Medvedev delivered the state-of-the-nation addresses in November in 2008-2010 and on December 22 in 2011. In the previous year Putin delivered a state-of-the-nation address to the Federal Assembly on Russian Constitution Day that is marked on December 12. The practice of the presidential national addresses to the lawmakers exists in many countries, dating back to the speeches from the throne (presently the speeches from the throne remain in constitutional monarchies — Great Britain, Spain, Belgium and the Netherlands). The US president delivers a national address to the Congress since 1790. The presidents read out the list of instructions to the governments in France, Italy and several other countries. The chancellors deliver national addresses to the government in Germany and Austria. The institute of presidential national addresses to the parliament also exists in many countries in the former Soviet republics.